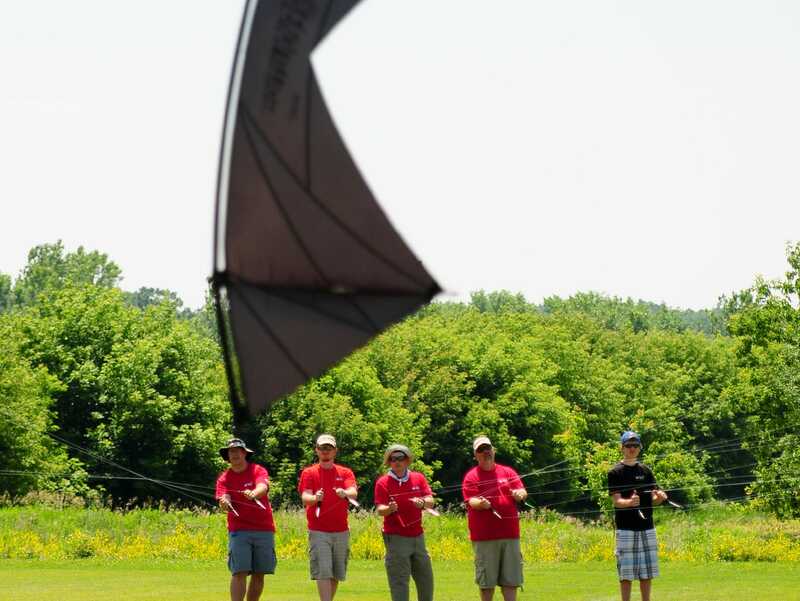 Hope to see some fellow IKE members at the FLY A KITE FESTIVAL in Green Bay WI on Saturday, June 28th. I'm prepping to announce this event. Who all will be flying for 180 Go? I believe it will be Big Mike Stephenson, Mikey Devereaux, Nick Stephenson, Steve Anderson. I'm not sure about Zach Stephenson, but check with Big Mike in the morning. Here's a link to the complete gallery. Here's a link to a preview live shot by the local Fox affiliate. And here's a link to a brief report on the festival by the local NBC affiliate. Plus we had other IKE'rs in attendance: Anne Stephenson, Shari Devereaux, Jynx, and our great announcer - KiteVoice (Jay). And . . . we had the first (successful) appearance of Team Two by Four! My son David and I flew a couple Rev pairs routines later in the day, and he did great! Without a doubt, IKE was well represented. And 180 Go! 's presence added considerable value (last year, Jynx and Fire and Ice were pretty much the only sport kite performers). People were amazed ... flabbergasted even, by what 180 Go! could do. You should have heard the sound guy's comments. Rick was so impressed, he told organizer Dawn Miller that he wants to serve on the organizing committee next year. Jynx drew significant accolades for her "let me teach you how to fly a Rev" segments. The next time you see Paul Koepke of Fire and Ice, ask him about the reaction he saw from one father. So many local organizations have now offered to help sponsor the event, that Dawn doesn't know what to do. She's thinking she'll have to raise the minimum contribution to get recognized on banners, in PA announcements, etc.! What a great problem to have and you kite fliers created it. Looks fantastic. Glad all of you guys could go. Looks like the weather cooperated greatly as well. Sounds like great work from all the IKErs involved! Nice job! Sounds like IKE /180GO! rocked! Congrats!